An "alarming" number of people are embarking on ski holidays without adequate winter sports insurance, research has suggested. Travel organisation ABTA revealed that of the one million skiers and snowboarders who take winter sports breaks around the world each year, more than one in three (36%) fail to purchase any cover whatsoever. This rises to 47% among those under the age of 35, although it is the younger age groups that lead the way when it comes to wearing ski helmets. Separate data from The Telegraph reveals that more people now wear helmets than take out insurance - 71% versus 64%. "Knowing you have the right kind of equipment is one less thing to worry about," commented Victoria Bacon, ABTA's head of communications. "It is still alarming to see the numbers travelling without adequate insurance, however. Along with arranging the right safety equipment, purchasing the right level of travel insurance and checking that annual policies are extended to cover action sports like skiing should be a top priority." The main concern regarding the low numbers of people taking out insurance is financial, with skiers incurring huge costs when they get injured on the slopes and don't have cover in place. Figures have shown that someone suffering a broken leg on the slopes would be billed between £3,300 and £4,600, for example. Another problem is that many people don't realise their regular travel insurance policies may not cover extreme sports such as skiing and snowboarding. There is the option of taking out specialist winter sports travel insurance, which is tailored specifically to provide cover for skiing and snowboarding breaks. 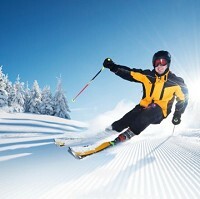 For more information on winter sports travel insurance, click here.